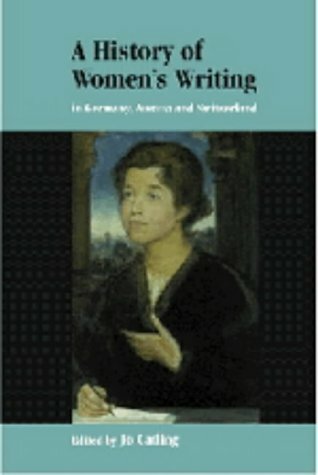 This book is the first English account of women's writing in Germany, Austria and Switzerland, offering both an introduction and a chronological overview of the whole field of women's writing in German-speaking countries from the Middle Ages to the present day. It will appeal both to students and scholars of German literature, and to a wider readership interested in women's writing and gender studies wishing to learn about the diversity and development of writing by women in Germany, Austria and Switzerland. The sixteen chapters, written by experts in their field, provide a comprehensive account of women's writing over a thousand-year period. Extensive guides to further reading, and a detailed guide to more than four hundred writers and works, together with an index for cross-referencing, form an integral part of the volume.